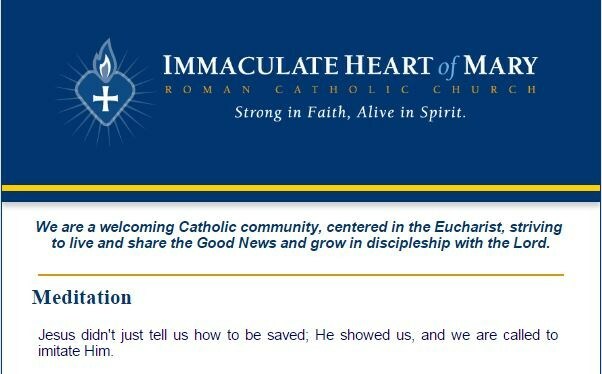 If you would like to keep up to date on the weekly events at Immaculate Heart of Mary please email the Parish Office and provide your name and email address. You can also text JOINIHM to 22828 and provide your email address. IHM's Midweek is sent out every Wednesday afternoon.